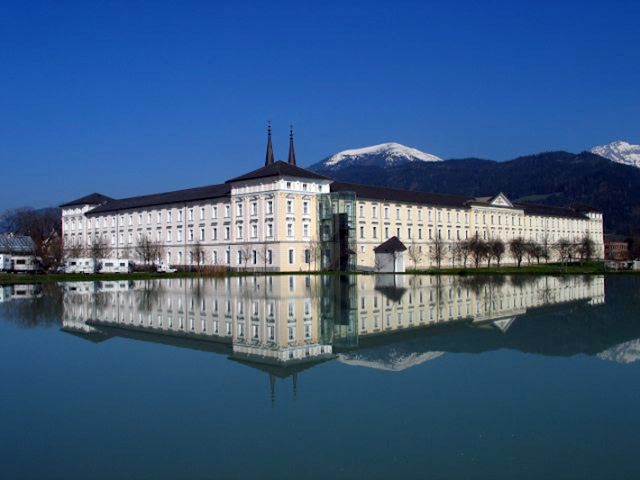 Located on the Enns River in the town of Admont, Austria, is a Benedictine monastery known to be the oldest remaining monastery in Styria – the Admont Abbey. 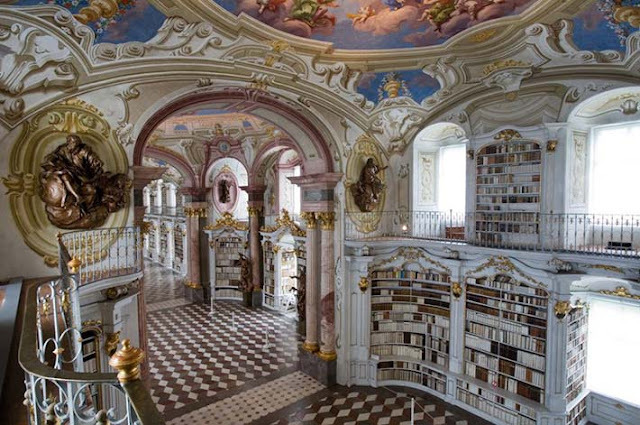 The abbey, with the its location on the borders of the mountainous Gesäuse National Park, offers unusual scenic beauty on the outside. Inside? 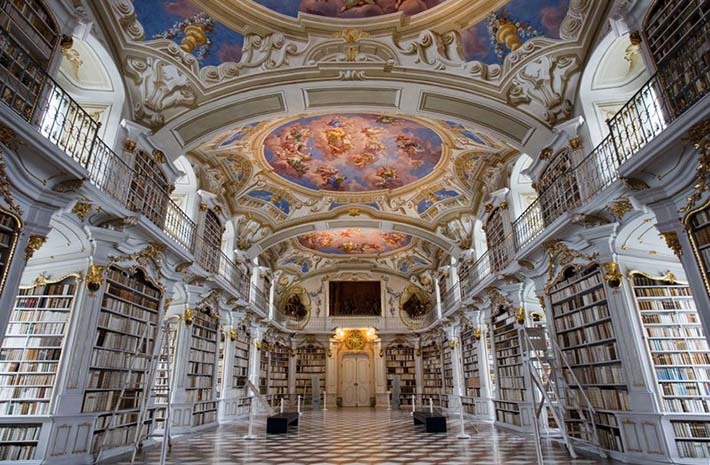 It offers so much more! Admont Abbey contains within its walls the largest monastic library in the world. 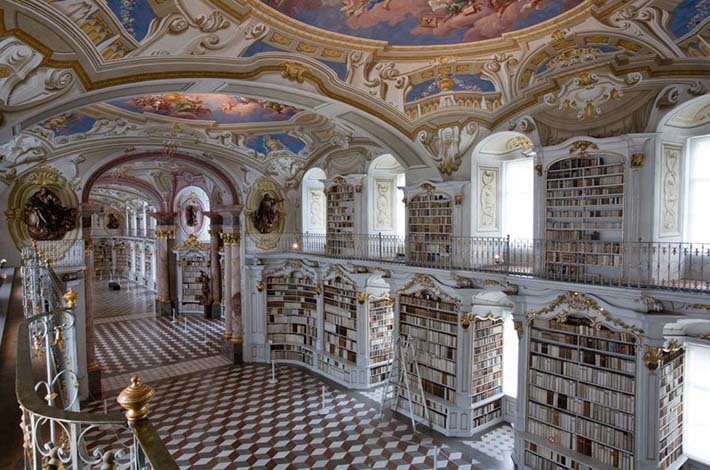 The Admont Abbey itself was completed in 1074, and the library in 1776. It was commissioned by Abbot Matthäus Offner (reigned 1751-1779) and was built by the Graz Master Builder Josef Hueber (1715-1787). 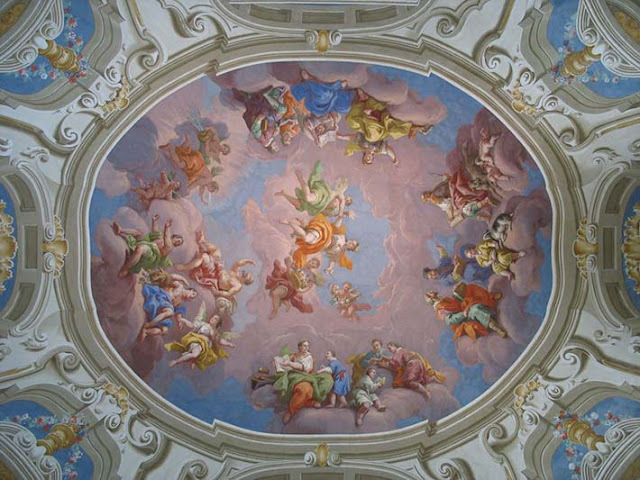 The library’s ceilings are adorned with seven frescoes which were completed by Bartolomeo Altomonte over the summer months of 1775 and 1776. 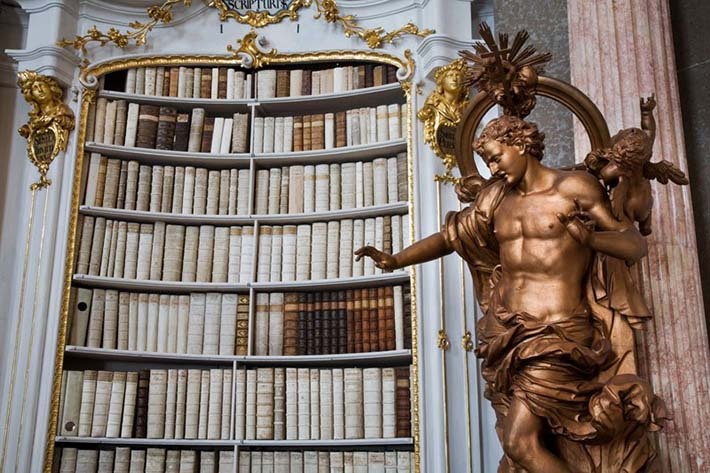 The sculptures in the library are the works of master Baroque sculptor Josef Stammel. 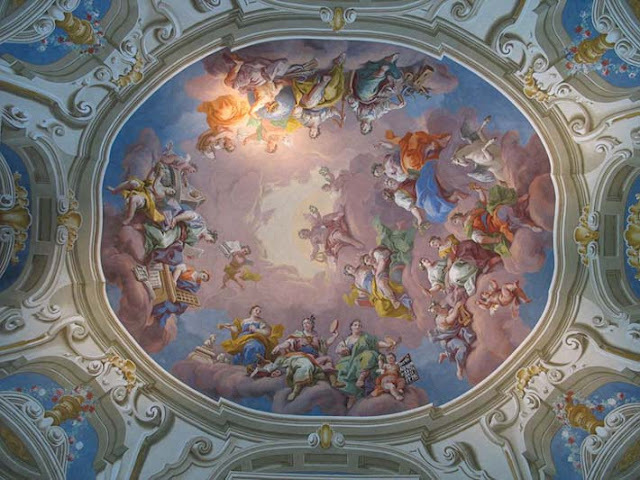 The most famous ones is the group of four oversized presentations of Death, the Last Judgement, Heaven and Hell, better known as The Four Last Things. 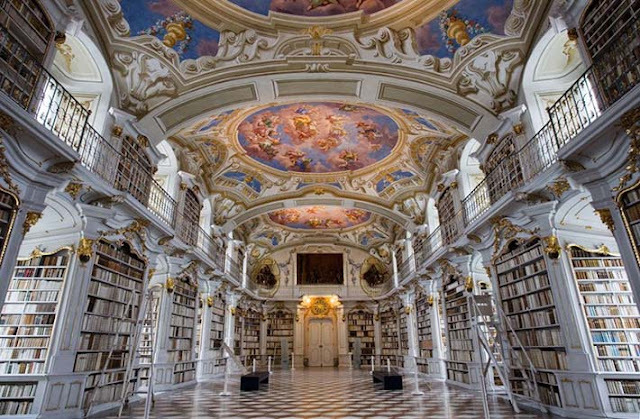 Of course, this won’t be library without the books. 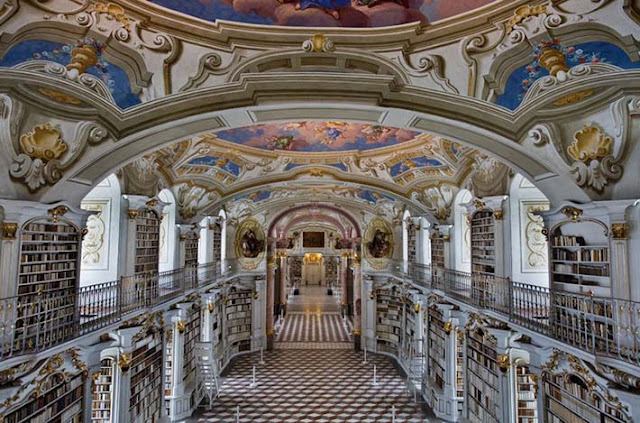 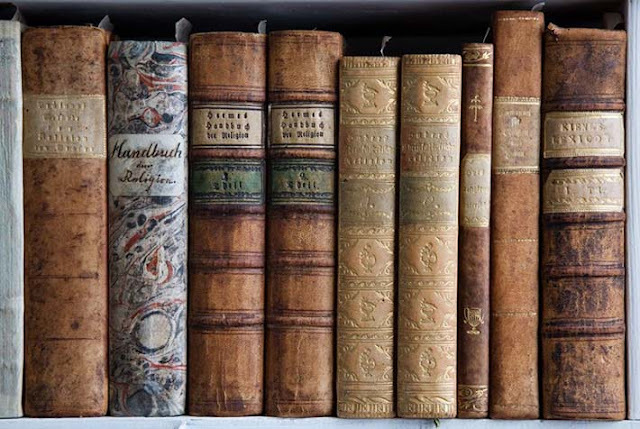 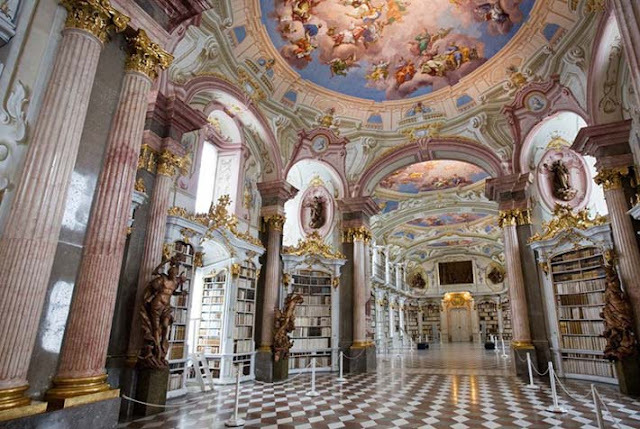 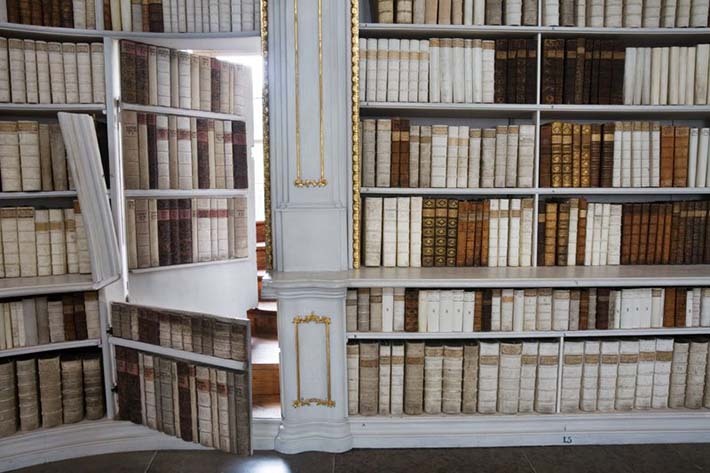 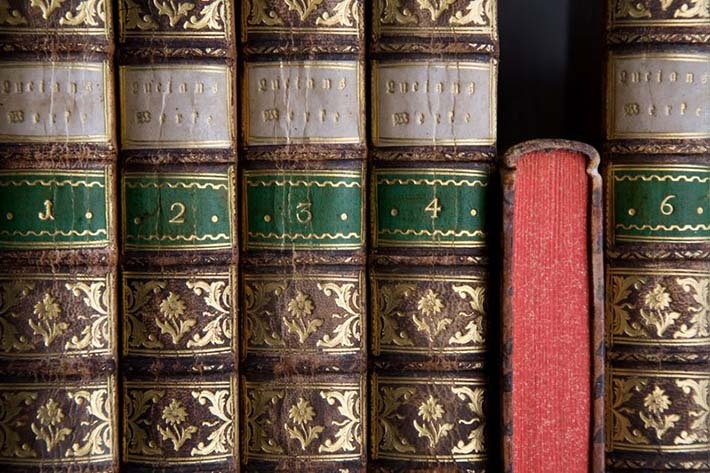 Admont Abbey’s library collection comprises some 200,000 volumes. 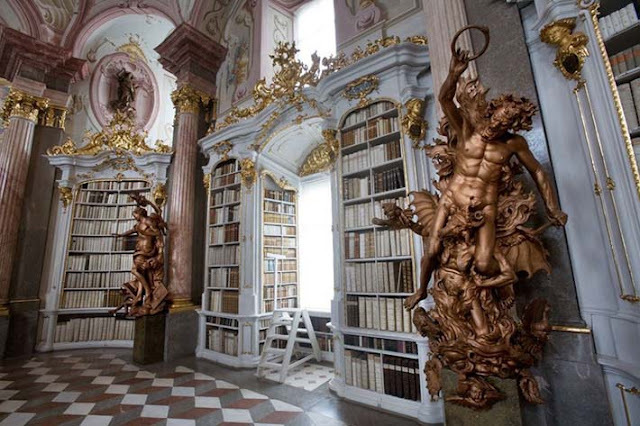 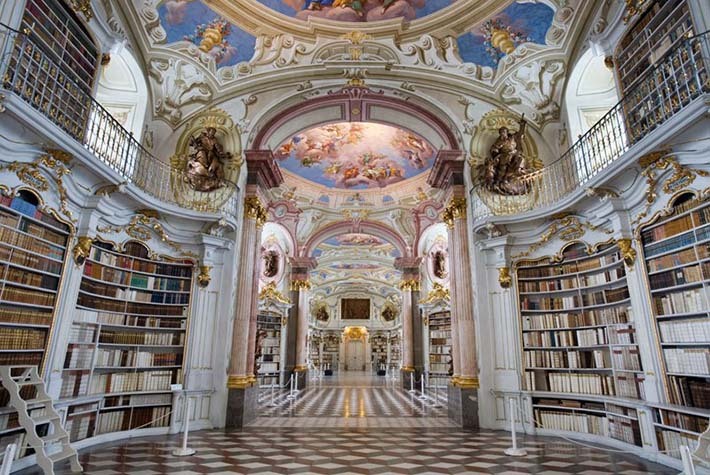 For lovers of art, architecture, history, and of course books, Admont Abbey’s library is absolutely a must-see!